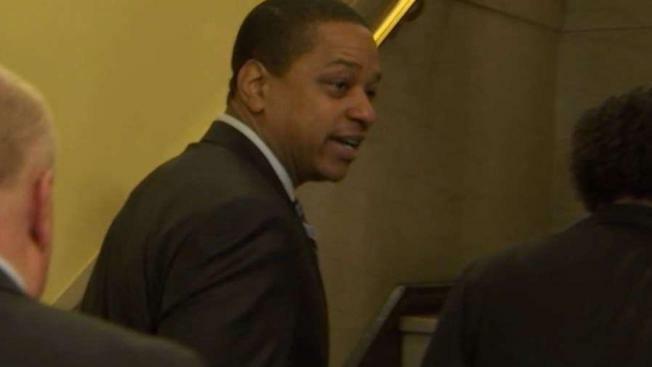 Fairfax said in a statement that the claim is "demonstrably false" and he has "nothing to hide"
Lawyers for the woman, Meredith Watson, said in a press release Friday that the alleged assault happened in 2000 and was "premeditated and aggressive." “I deny this latest unsubstantiated allegation. It is demonstrably false. I have never forced myself on anyone ever. I demand a full investigation into these unsubstantiated and false allegations. Such an investigation will confirm my account because I am telling the truth," Fairfax wrote in a statement to News4. "I will clear my good name and I have nothing to hide. I have passed two full field background checks by the FBI and run for office in two highly contested elections with nothing like this being raised before." 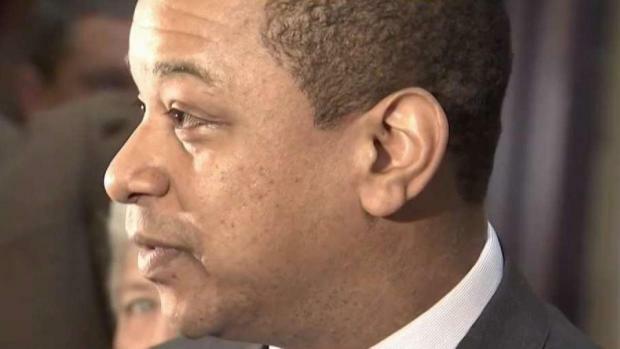 Fairfax has denied that account, saying that when he was 25, he had a "100 percent consensual" encounter with a woman he met at the convention. "The details of Ms. Watson's attack are similar to those described by Dr. Vanessa Tyson," Nancy Erika Smith, an attorney for Watson, wrote. "I believe these women. He needs to resign immediately," Hope said in a news conference Friday night. Hope cited Virginia's constitution, which states that the lieutenant governor can be impeached due to "malfeasance in office, corruption, neglect of duty, or other high crime or misdemeanor." "There's no question that violent sexual assault clearly qualifies as a high crime," Hope said. It's with deep regret and sadness that I have to call for the resignation of Justin Fairfax. Having more information available I can no longer stand with the Lt. Governor. I'm heartbroken to have to make this decision but I know in my heart it's correct. "The allegations against Justin Fairfax are serious and credible. It is clear to me that he can no longer effectively serve the people of Virginia as Lieutenant Governor. I call for his immediate resignation," Former Virginia Gov. Terry McAuliffe said. Smith said Watson came forward because of a "strong sense of civic duty" and is not seeking any financial damages. Both allegations of sexual assault come as Virginia's top three Democratic leaders are embroiled in scandal. Virginia Gov. Ralph Northam continues to face calls to resign after he first admitted Feb. 1 to being in a racist photo displayed on his 1984 medical school yearbook page. Northam later walked back that admission, saying he was not pictured in the photograph.